Preheat oven to 375°F. Lightly grease an 8-inch square baking pan and set aside. In a large bowl, whisk flour, cornmeal, baking powder, salt, cumin, cloves, cinnamon, allspice and red pepper flakes until well combined. 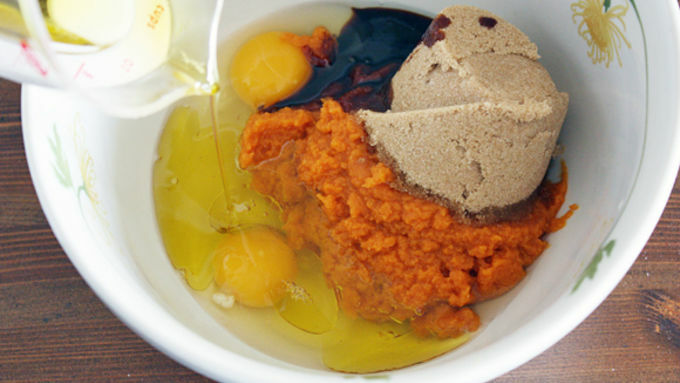 In a separate large bowl, whisk together eggs, pumpkin, brown sugar, olive oil and molasses until well combined. Pour batter into prepared baking pan. Top with a rosemary sprig or two, if desired. 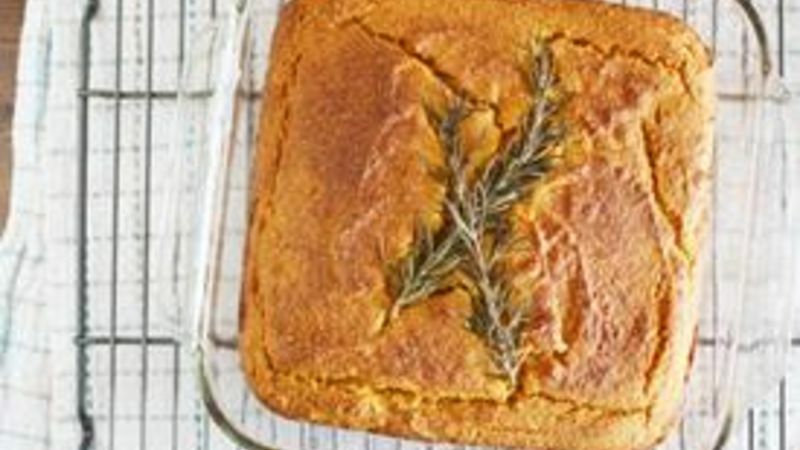 Allow cornbread to cool completely on a cooling rack before slicing. Heyyyyy, cornbread! Seriously, who doesn’t love the stuff? It’s super easy to make, tastes great with anything and everything and can be made a gazillion different ways. It certainly deserves a shout-out once in a while. 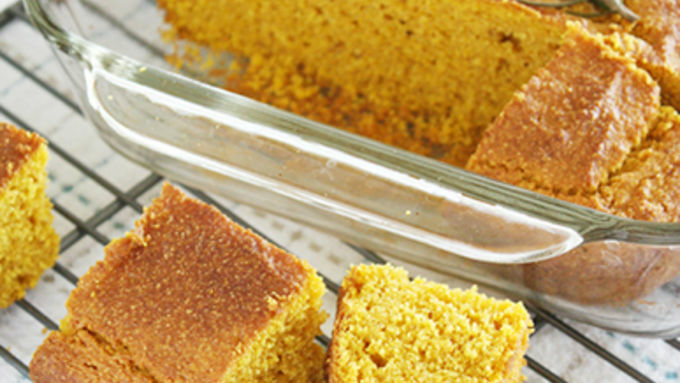 One of my FAVE variations on cornbread is this delicious Gluten-Free Spiced Pumpkin Cornbread. It’s made with unique spices like cumin and cloves that render a really unique flavor, and the pumpkin puree also lends itself to the tastiness and moistness of the bread. Oh, and it’s sans gluten, so everyone can enjoy it. WIN.